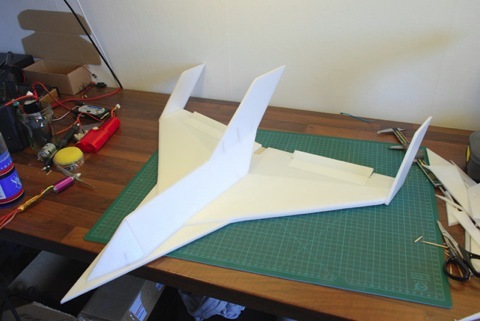 I have begun the build of the first airplane of my own design! It’s a delta plane with a KF nr.4 airfoil that is designed around the same power plant as the AitT wing. I don’t know if it’s going to fly, but I sure hope so.